Asheville - CAD Designers, Inc.
CAD Designers, Inc. is Asheville, North Carolina’s leading CAD drafting agency. For over 15 years, our designers have created exceptional drawings for Asheville firms. Regardless of the size of your firm, our team is prepared to meet your needs. 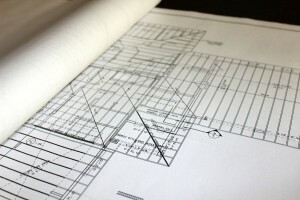 Small firms often utilize our expertise for all of their drafting projects to save time and resources. Larger clients tend to work with us when the work volume exceeds their capabilities. Working with CAD Designers, your business will receive the benefit of qualified professionals without the delay of hiring, training and purchasing technology to meet your growing needs. Our designers are available for temporary placement or full-time employment. CAD Designers will train and properly place any candidate for your staffing needs. If you are an experienced CAD professional looking for a challenging job or are a firm needing professional assistance, our agency can fill your needs. For your next CAD job in Asheville, NC be sure to contact CAD Designers, Inc. by calling 919-457-9184 or completing the online contact form.